I received tickets to Phantom of the Opera from my partnership at Tampa Bay Bloggers for this review. As Always, all opinions are my own. On Friday night, my husband and I had a chance to check out The Phantom of the Opera at Straz Center in Tampa. The Phantom of the Opera was one of the very first shows I saw on broadway when I was in High School. This show is the reason I fell in love with broadway productions and I couldn't wait to see it once again as an adult. We had high expectations going into this show and left beyond satisfied. 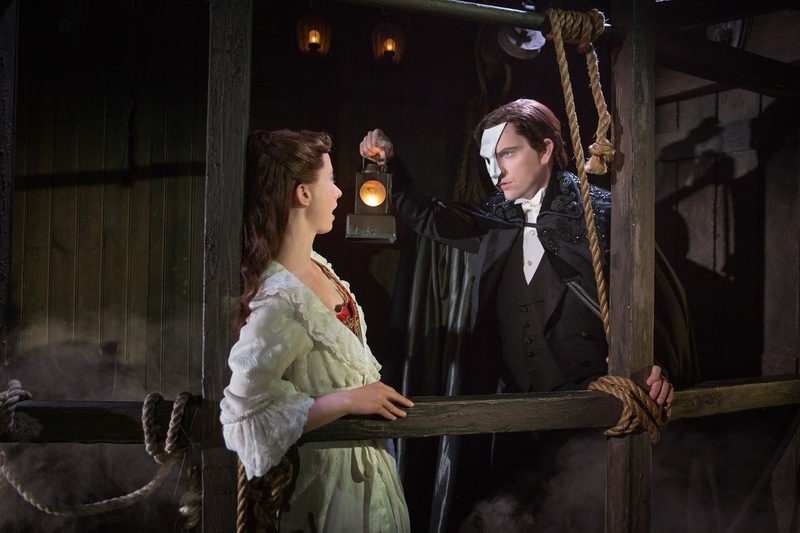 Tampa welcomes Cameron Mackintosh's new production of Anderw Lloyd Webber's North America tour of The Phantom of the Opera from December 17-January 4th. The Phantom of the Opera was stunning and I have never seen a show with such incredible stage design. I found myself at many times thinking we were watching a movie vs. being at a broadway production. There were so many special effects including the dropping of show’s legendary chandelier, which hung over the audience. What amazed me most was the scenery changes right in front of your eyes without you realizing it was happening. There was an orchestra of 52 who played all of the recognizable songs from the production, including Music of the Night, All I Ask Of You and Masquerade.